Fall is such an amazing time. One of my favorite parts of this season is when all of the local fruits are ripe and need picking. Many of my friends and neighbors have apple, pear, and peach trees that are ripe and ready to pick. They let us know it's time, and we come with bags and boxes ready to pick as many as we can. 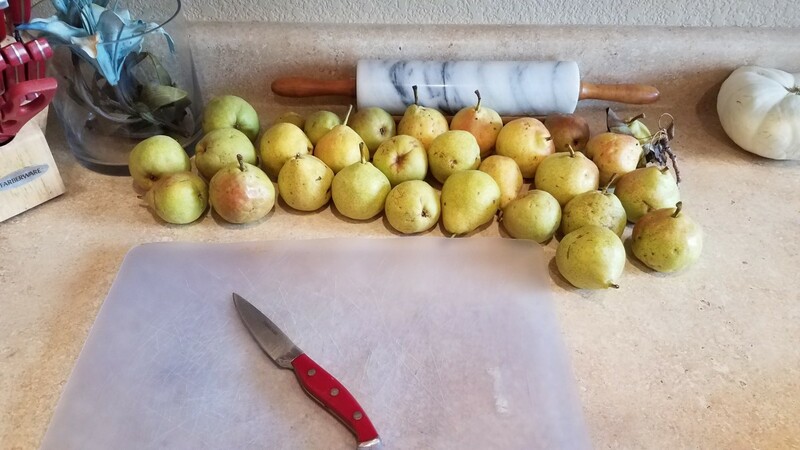 A week ago or so, we drove out and picked several boxes of pears straight from the tree. Not only is it a lot of fun for me, but it's a great experience for my little ones. 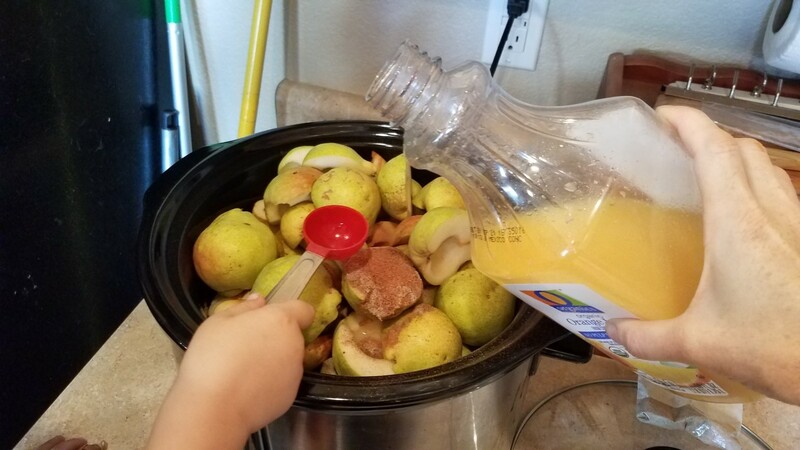 How many kids can say that they've picked the pears that they are eating at home? I know I never could as a kid. 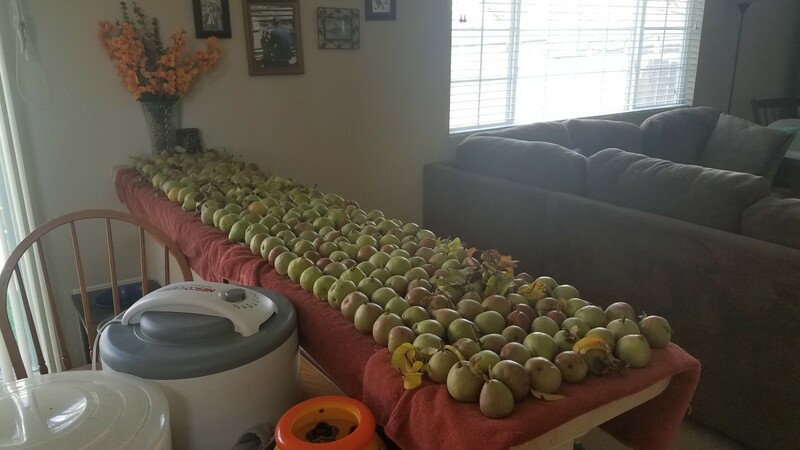 We laid them all out to ripen on a long countertop we have that separates the kitchen from the living room. I can say I've witnessed—and participated in—the swiping of the first few yellow ones to eat. We all love pears over here, and fresh from the tree is as good as it gets. I've been waiting all week for them to ripen, planning out all of the delicious pear creations I was going to make. 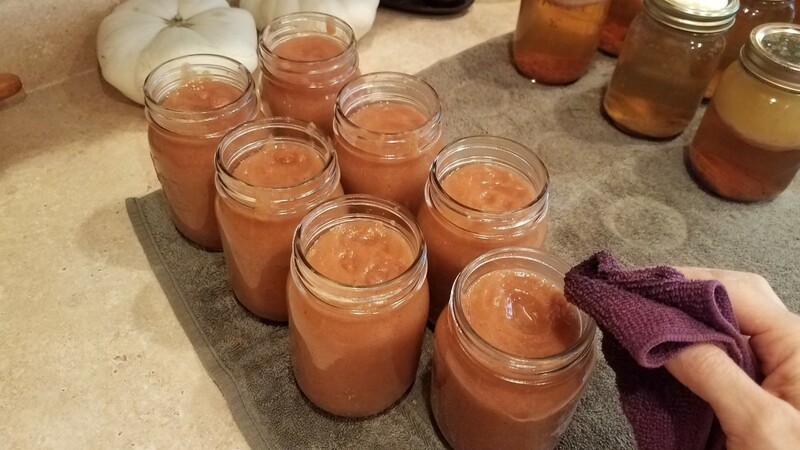 This spiced vanilla pear jam was the first on the list, but I also have canned pears, cinnamon pears, pear pie filling, and pear sauce on the list to make in the coming weeks. Yum! 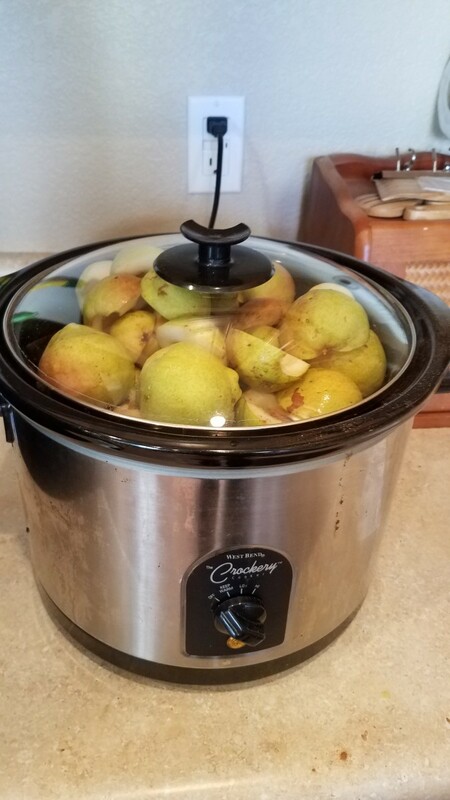 We finally had enough ripe pears to make a crockpot of this jam this morning, so I started it up, with the help of my little canner. We now have delicious smells wafting through the house. 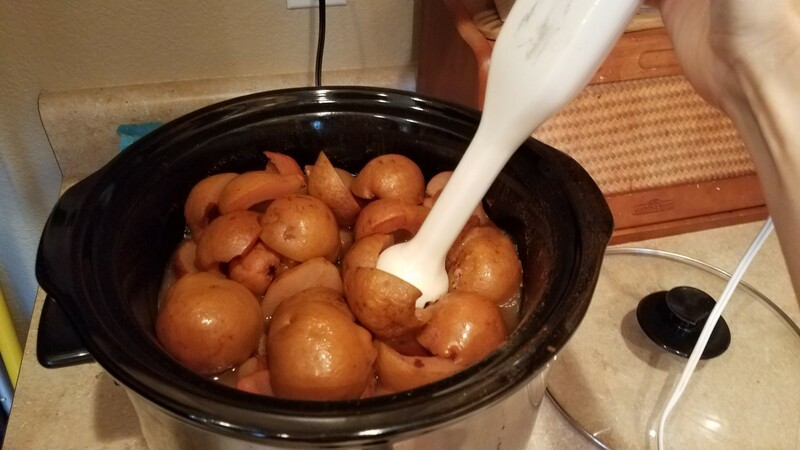 There's no better way to ring in the beautiful fall season than to have cooking pears, cinnamon, cardamom, and nutmeg smells filling the house. I know my husband will be happy tonight! 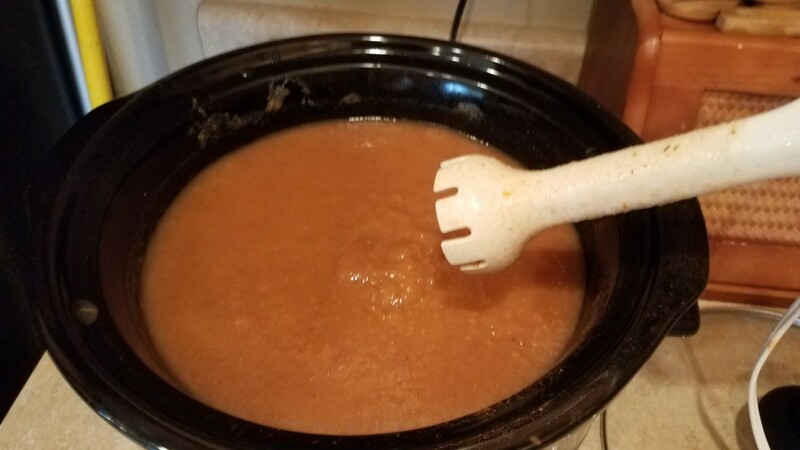 It is so easy to make, there's no reason everyone can't experience it for themselves. Let's see what I did! 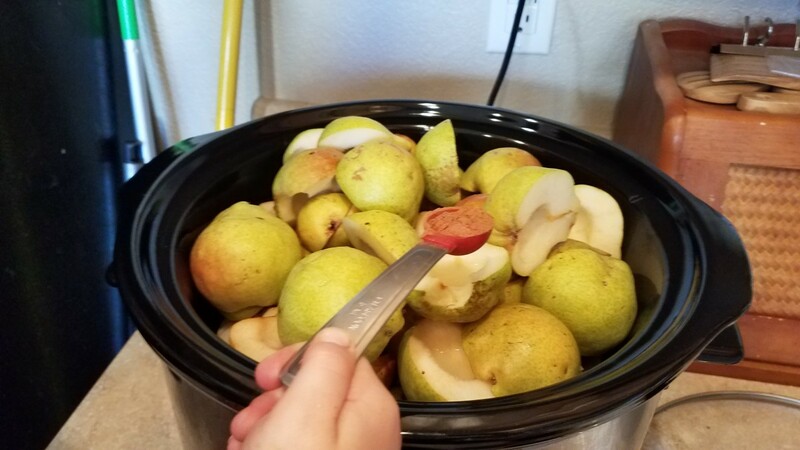 Slice each of your pears in half, core them, removing any stem, and then drop them into your waiting crockpot. Add all of your spices. I suggest adding dry stuff first so that your measuring spoons don't get all wet before you need them to measure spices. Add in your vanilla, lemon juice, orange juice, and water. 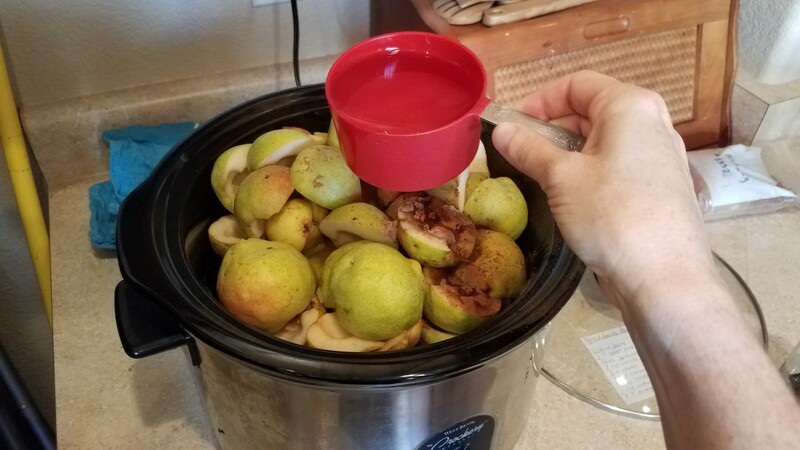 Close up your crockpot and cook on high for a few hours, until your pears are falling apart. 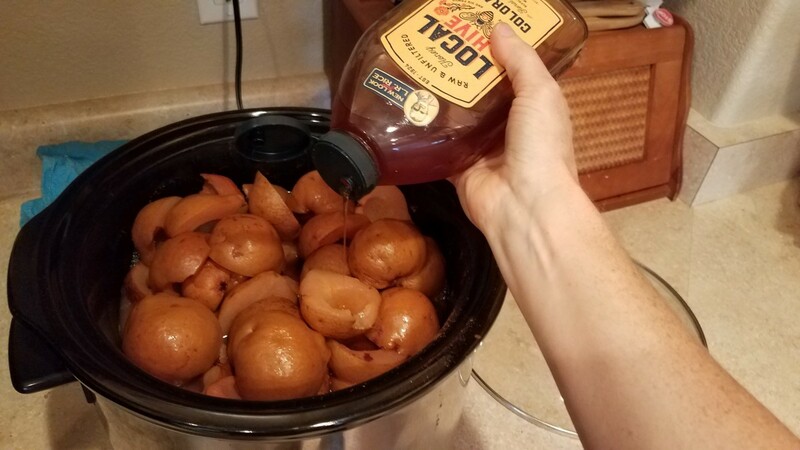 Open up the crockpot and drizzle your honey over the top. Stir in to melt. Now you'll need an immersion blender to do this with the least mess. If you don't have one, a blender will do. Blend up your jam until it's the consistency you're looking for, smooth or chunky. 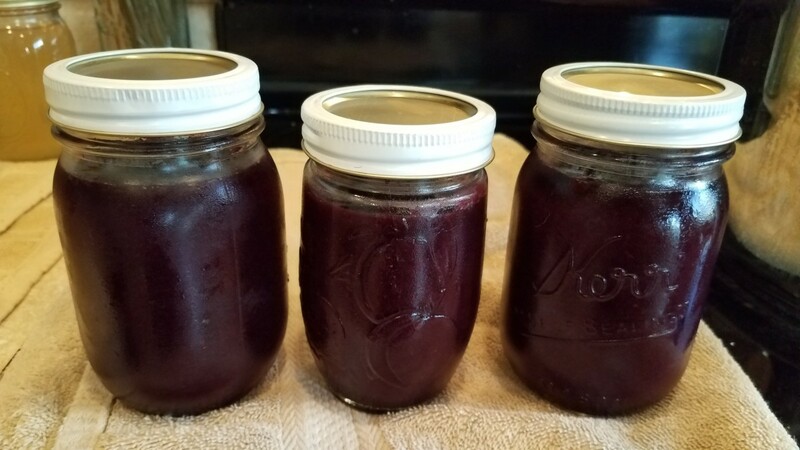 Pour your jam into your glass pint jars. 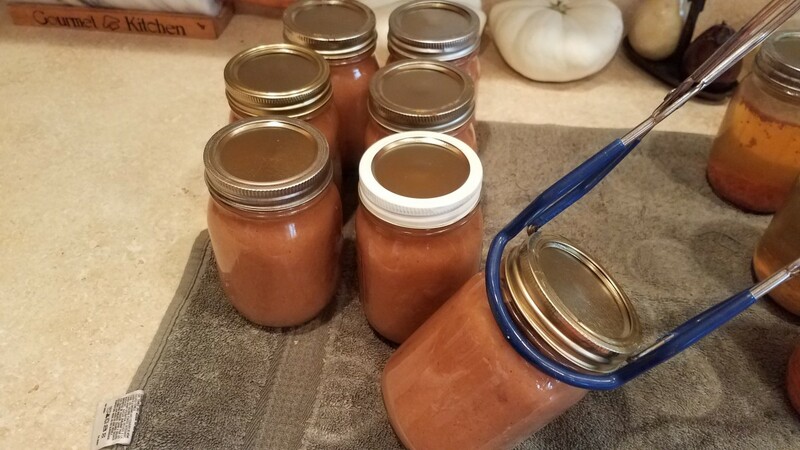 At this point, you can store it all in the refrigerator, the freezer, or you can preserve them for long periods of time by canning them. 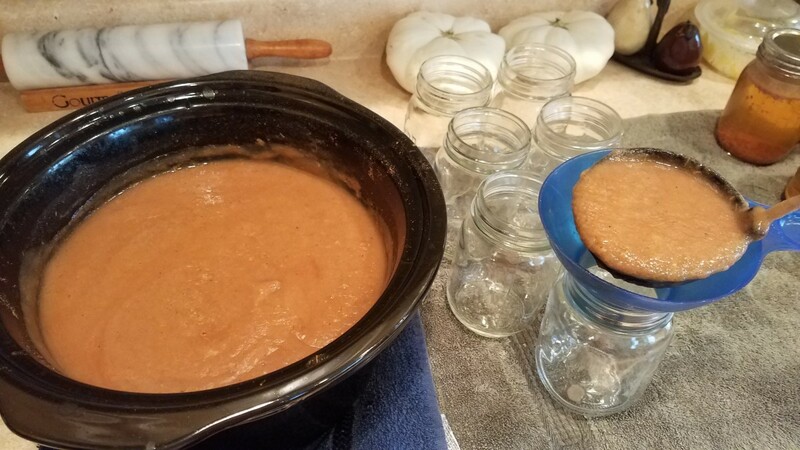 To can them, fill them to the bottom of the neck of each jar and wipe the rims of each of your jars with a damp washcloth. 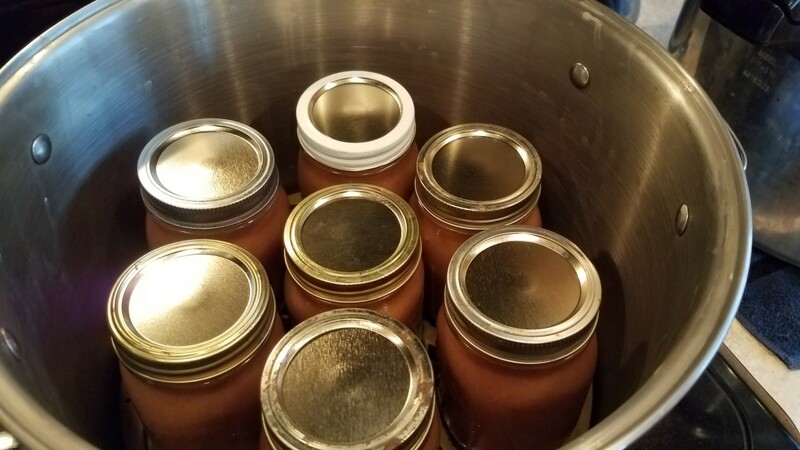 Add a clean lid to each jar and then twist a ring over each lid, but only until you feel the slightest resistance. 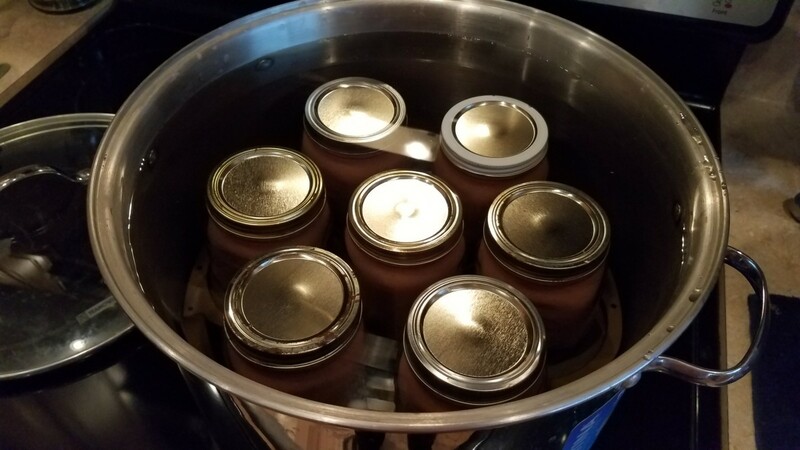 Set your jars down into a water bath canner, making sure each jar does not touch the pot or any other jar. Mine holds 7 pint jars. 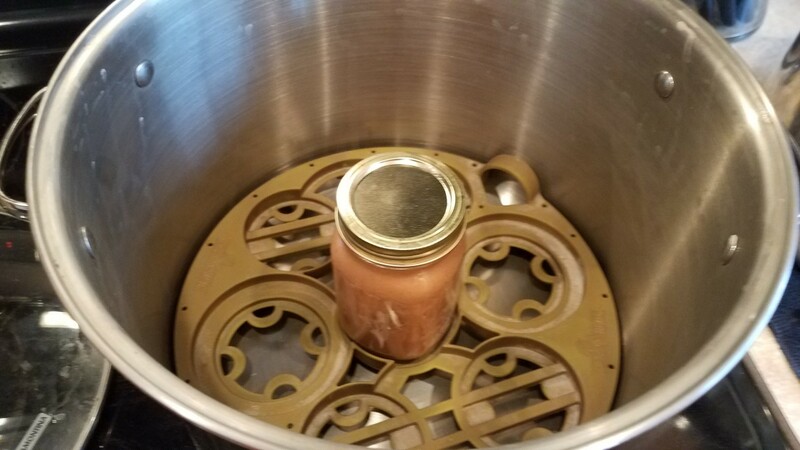 Fill your canner with water, covering your jars by about two inches of water or so. Put on the lid and turn the heat to high. When your water reaches a rolling boil, turn down the heat a couple notches being careful to maintain the boil. Set your timer for 10 minutes. 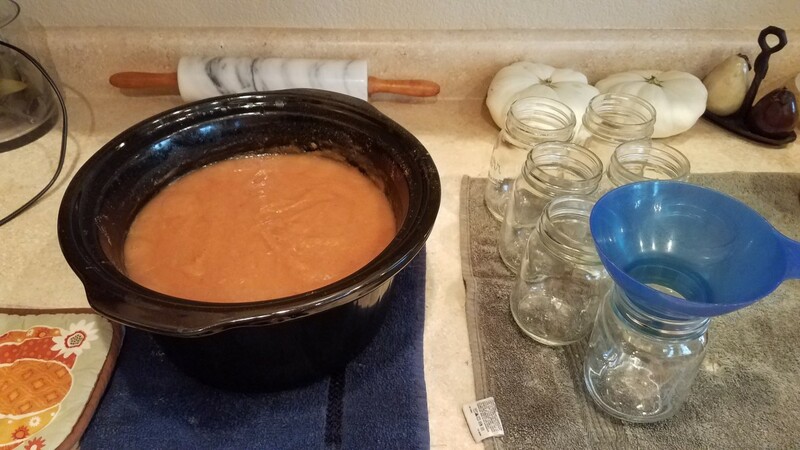 When your jars have processed for the full ten minutes, remove them from the water and set them aside on a towel to cool for 24 hours. You will know they have sealed if the center of each lid has popped down and pings when you tap it. Label each jar with item name and date, remove the rings, and store in a cool, dry place for up to a year. Lay out your cutting station. 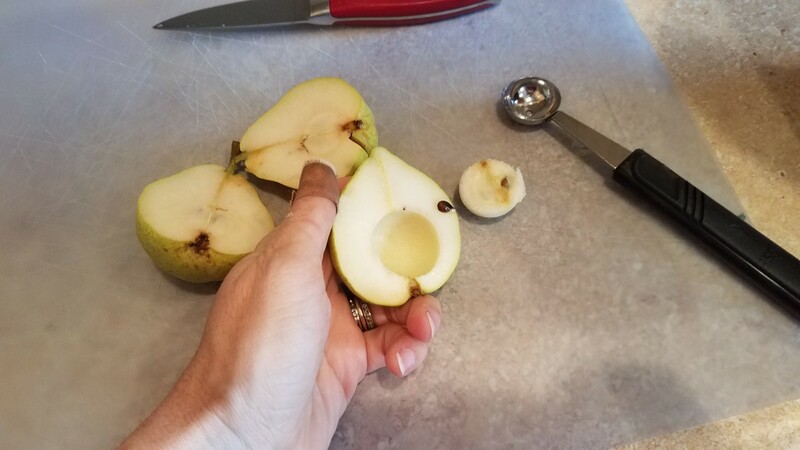 Slice each pear in half. 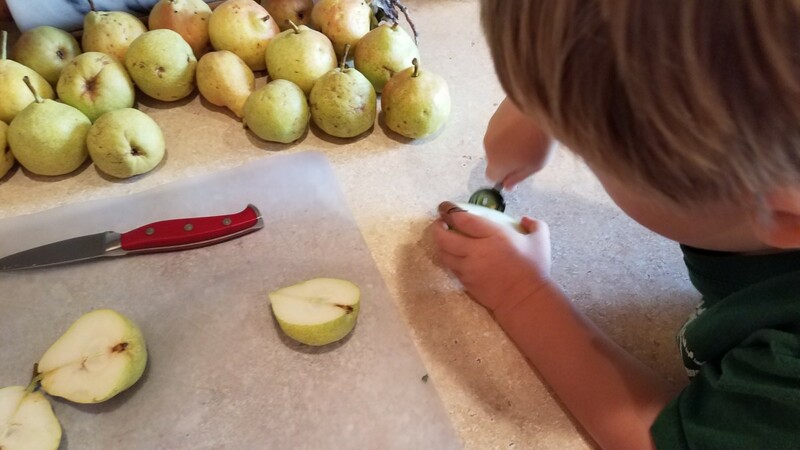 I like to use a melon baller to core each pear. 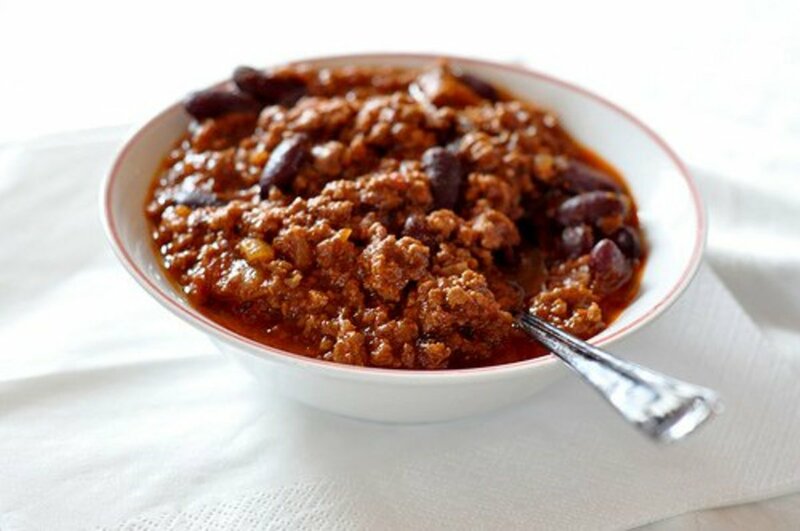 Toss them into your crockpot. 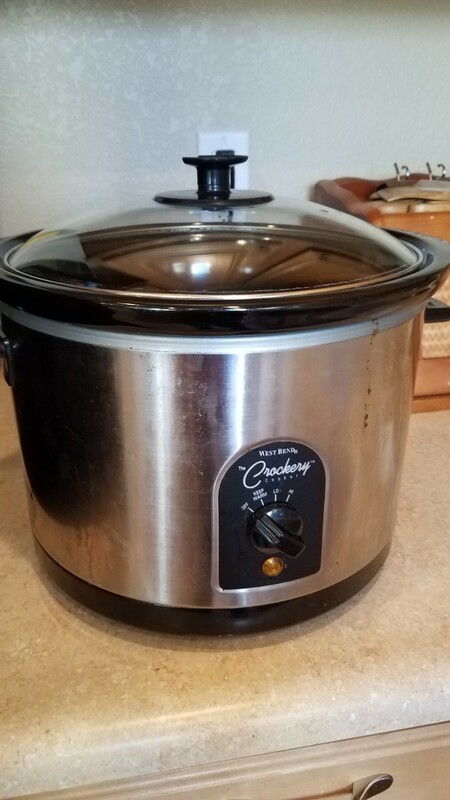 I simply cut and core until my crockpot is full. Add all of your spices. 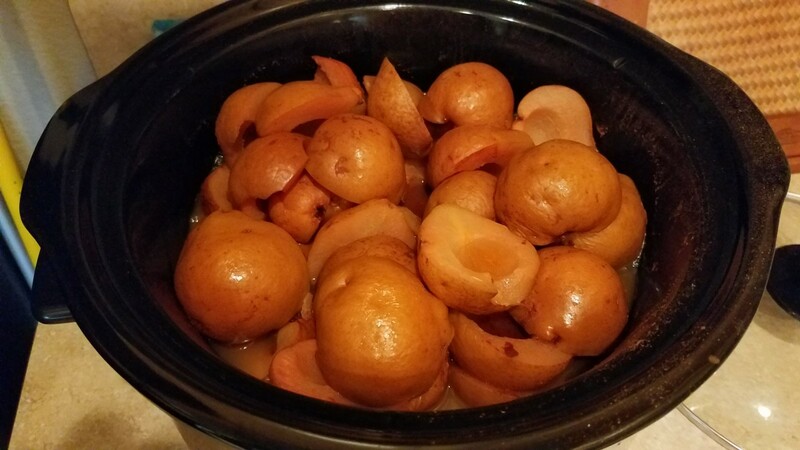 Close up your crockpot and cook for a few hours, until your pears are super soft. 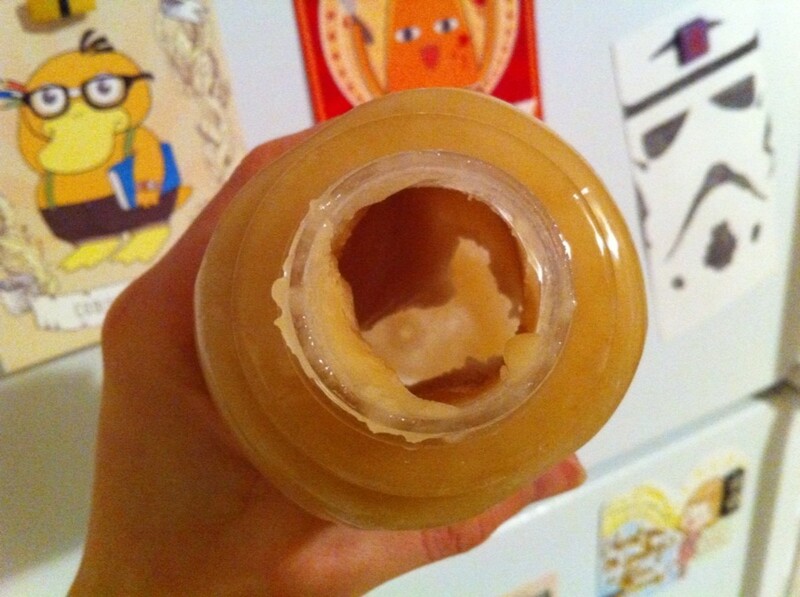 This is when I add the honey and give it a stir so it all melts. 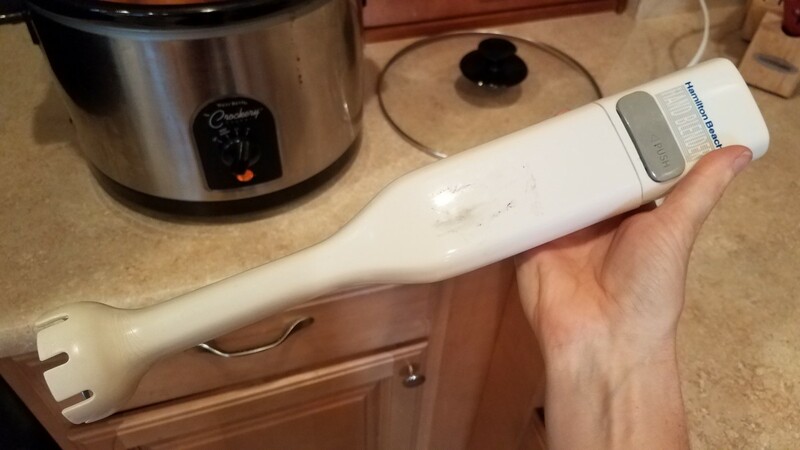 This is an immersion blender. I got mine for a couple bucks at a thrift store. It's very convenient for mixing your jams. I blend mine until smooth. 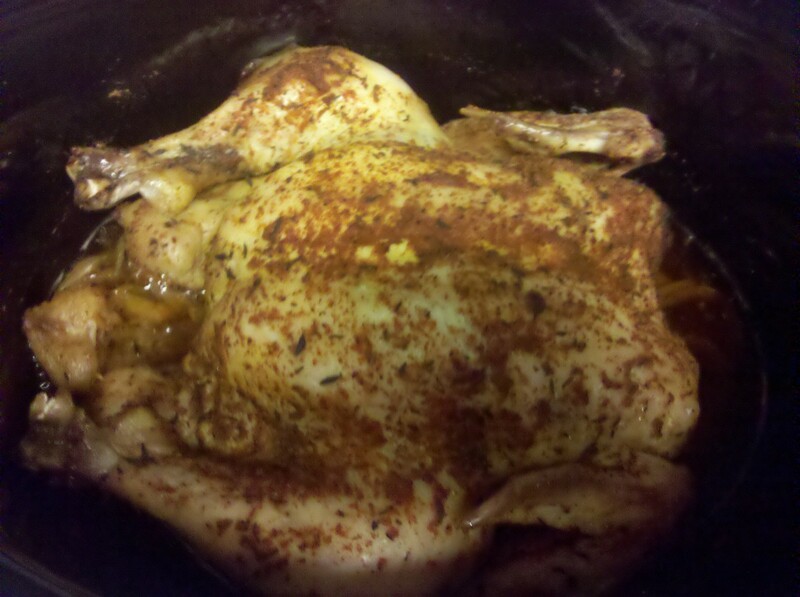 Then leave the top off and cook another hour or so to cook out the extra liquid. When ready, set up your canning station. 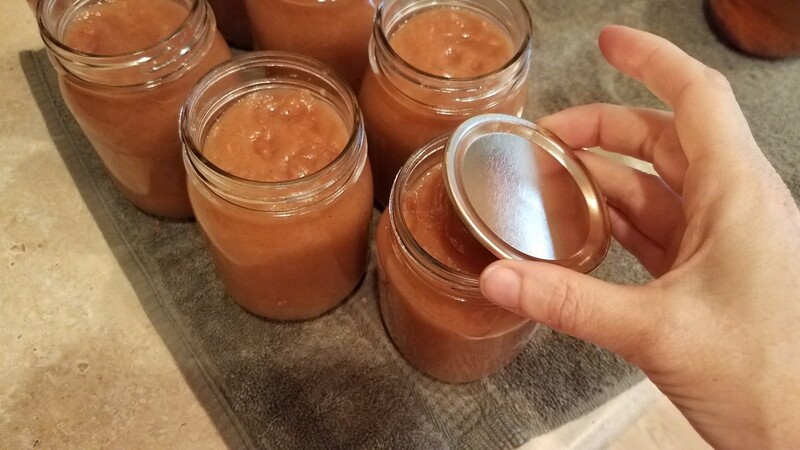 Fill each of your jars with your pear jam, to the bottom of the neck of eack jar. Wipe your rims with a damp washcloth. Add a lid to each jar. And a ring, only twisting until you feel the slightest resistance. 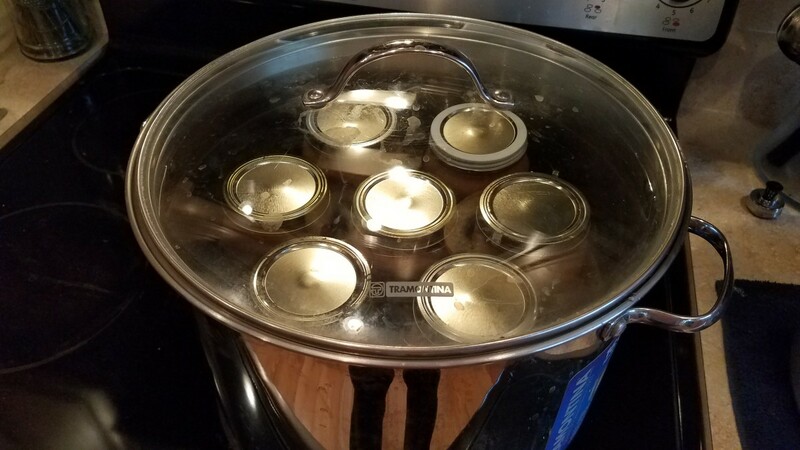 Transfer your jars to your canner. Fill with water a couple inches above your jars. Cover and can according to the directions. 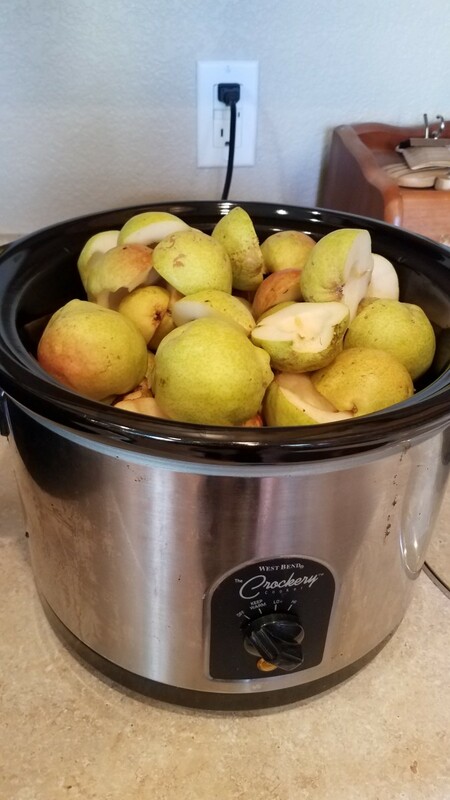 Now, I say 6 pounds of pears because that's about how much it takes to fill up my large crockpot. 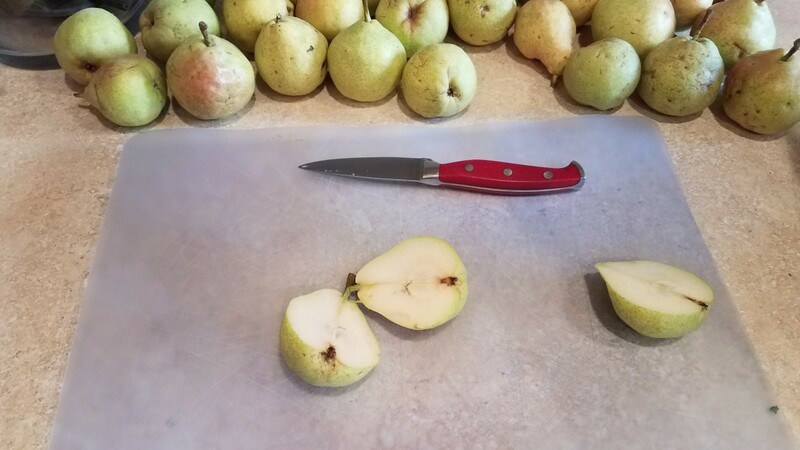 I wish I could tell you exactly how many pears that meant, but even amongst the pears I'm cutting up, there are some really large ones and some little tiny ones. 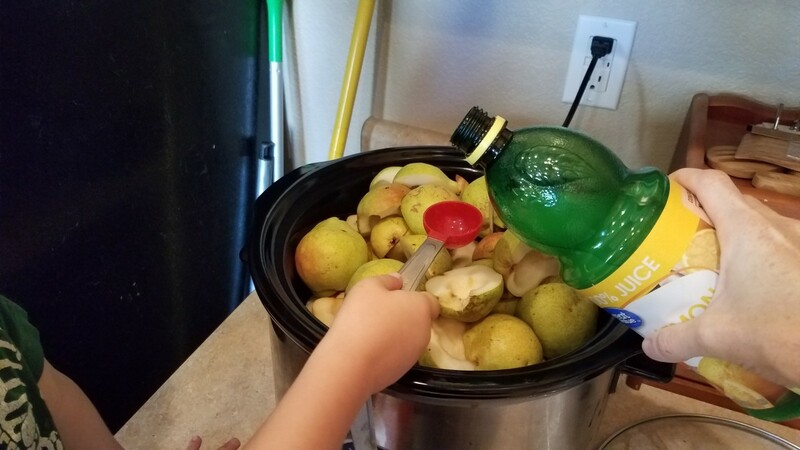 I would say if you have a large crockpot, fill it all the way up with pears and use the recipe like normal. 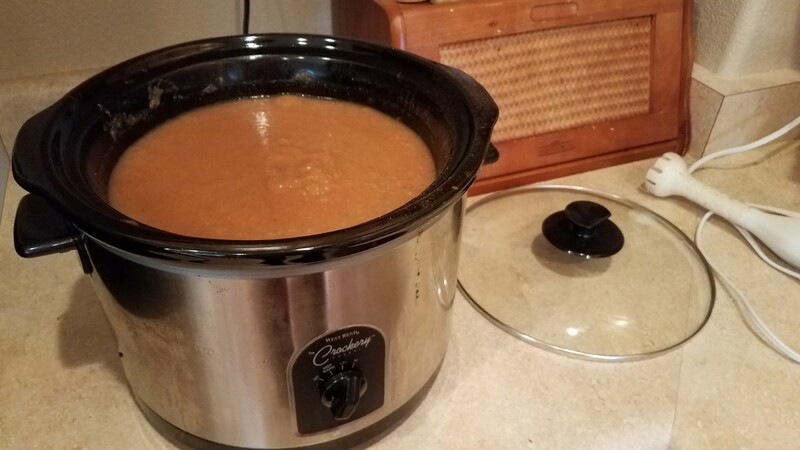 If you only have a small crockpot, fill it up the same way, but then cut everything else in half. I know I frequently say to make each recipe your own and just find a substitution for any missing ingredients in your recipe. However, even though cardamom is a lesser known spice that most everyone will likely not have in their pantry, it is crucial in this recipe. 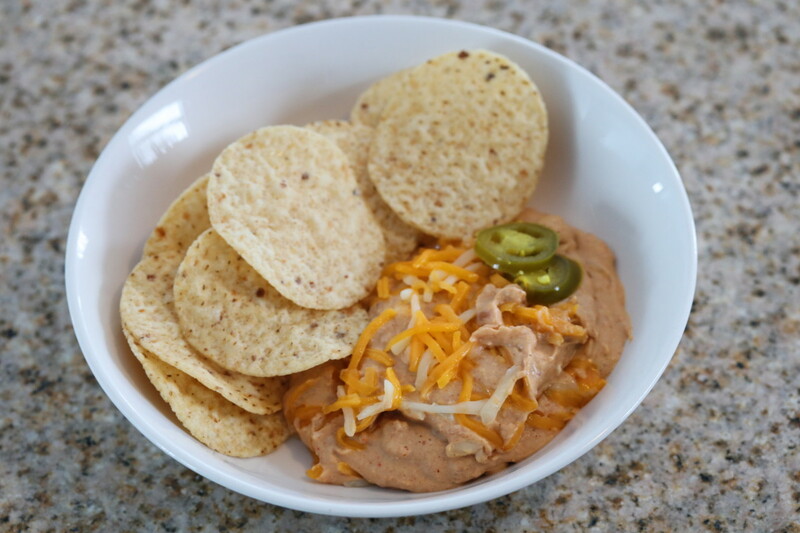 This one is worth making the trip to the grocery store to grab. Cardamom is the main scent/flavor that makes this jam what it is. 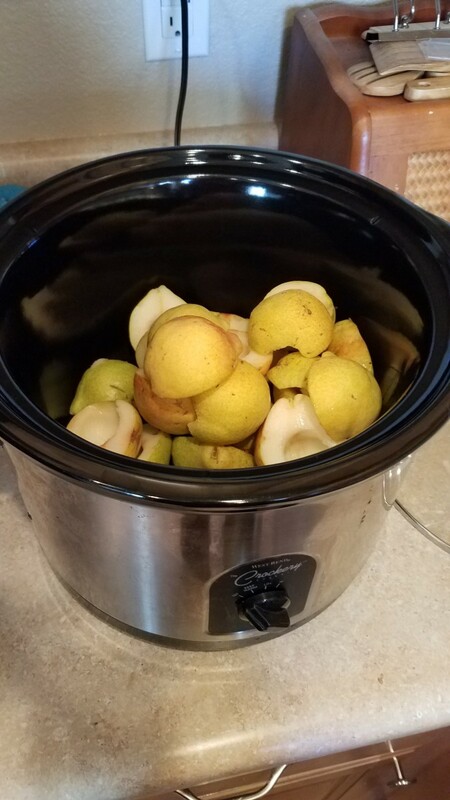 Although it will still be delicious, without cardamom, it's not going to be spiced vanilla pear jam. Trust me, you don't want to substitute this one out. This jam is one I have a really hard time holding on to each year. As soon as I start making it, everyone I know, and many people I don't, are usually asking me for it. 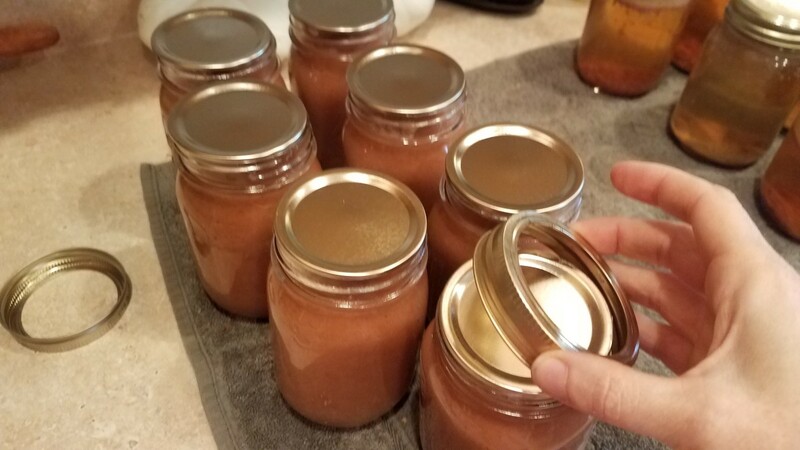 Most of the jars I make usually go out as gifts or are sold—and I don't get to keep many myself. 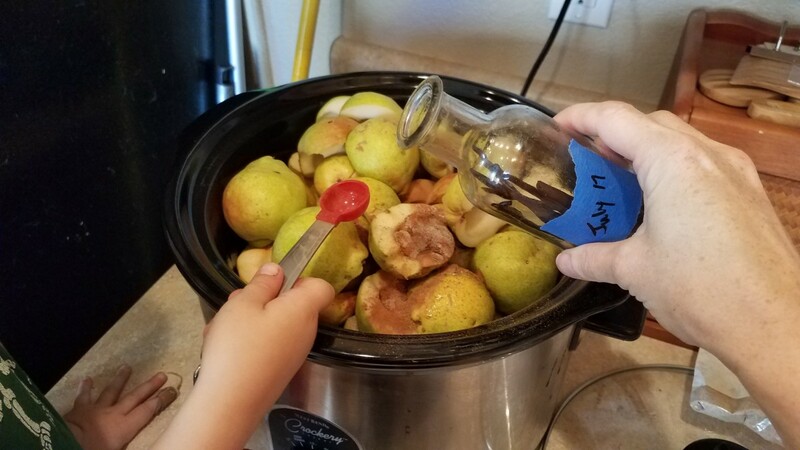 I learned my lesson last year and now I'm going to make an extra batch just for my family and me. 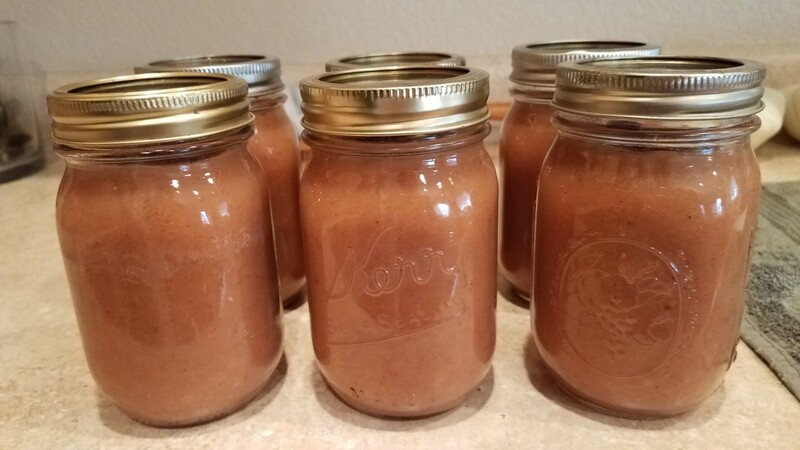 Be prepared to have people asking you for your recipe on this one, or even a jar of their own if they know you have extra. This might be just the perfect gift for your friends and family at Christmastime. Either way it works out for you, I know you're going to enjoy it! This sounds wonderful. I love pears and I am sure this would be on my morning toast without fail!